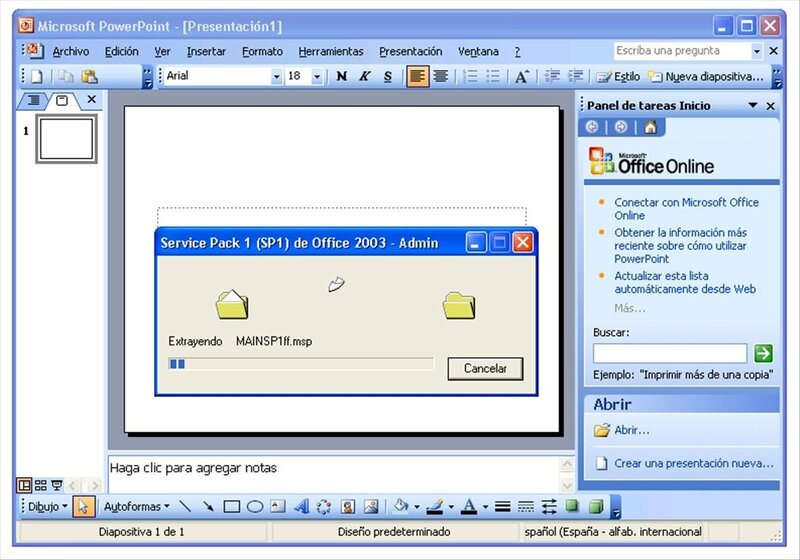 Microsoft Office 2003 is a pack of office tools developed by Microsoft, containing a text processor (Microsoft Word), a spreadsheet application (Microsoft Excel), an email client (Microsoft Outlook), a tool to create presentations (Microsoft PowerPoint), another one to manage databases (Microsoft Access)... Nevertheless, it is only possible to obtain the best possible performance if these components are up to date, which you can do with Office 2003 SP1. 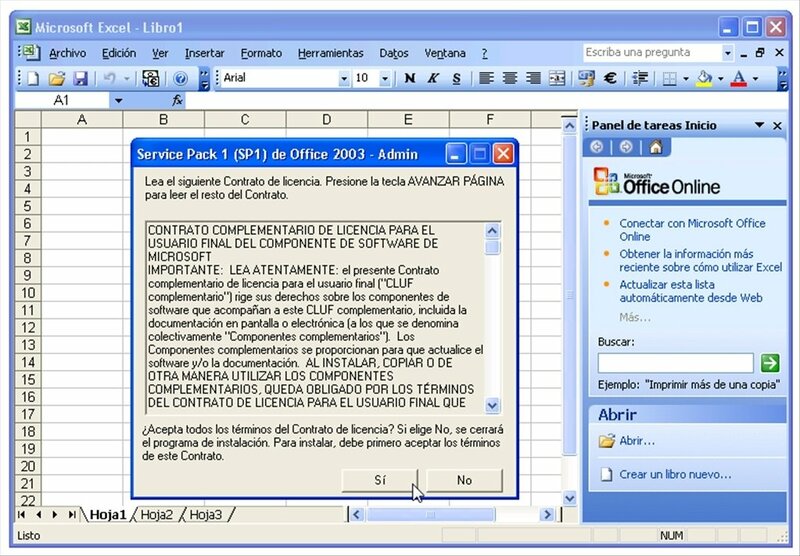 Microsoft Office 2003 SP1 is the first pack of updates for this office suite. If you're familiar with Microsoft's work dynamics you will know that, after launching a product, a set of different Service Packs are launched to improve the software's functions and fix errors and bugs. 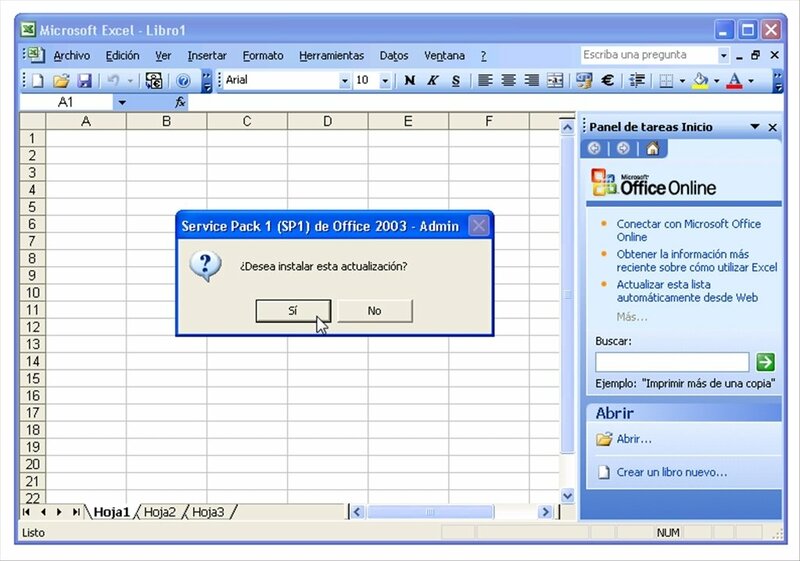 With Office 2003 SP1 your Office 2003 office software will improve notably in what regards to stability, performance and security. First pack of updates for the Microsoft Office 2003 suite. Includes the updates appeared for Microsoft Word (KB830000) and Microsoft Excel (KB834691), as well as a pack of updates for the whole suite (KB828041). New antiphishing filter and various performance improvements for Microsoft Outlook. 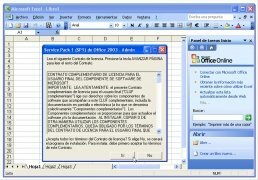 Microsoft Office InfoPath 2003 totally updated. This pack of updates and hotfixes will guarantee you the best possible performance when you work with Microsoft Office 2003. And that is because it has been the users themselves by means of the Microsoft Online Crash Analysis service as well as with the comments that they have provided to the technical support that have caused these fixes to be carried out. The most recent update to Microsoft Office 2003. 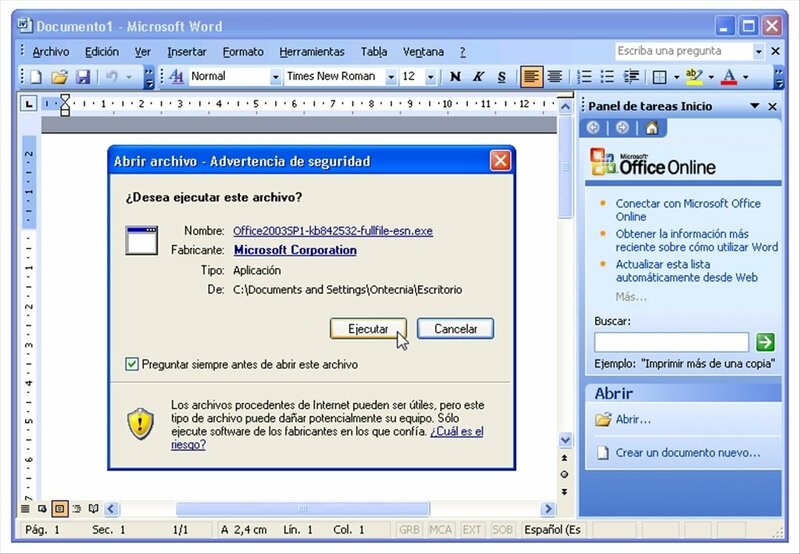 In Microsoft Office 2003 SP1 it will be possible to find both new solutions as well as others that have already been published before. It is a compilation, therefore, none of the packs to solve errors in the suite published by Microsoft before it was launched will be missing. 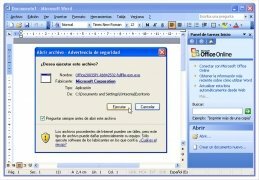 Download Microsoft Office 2003 SP1 for free to fix errors in Microsoft Office 2003 or errors as to how it works. This revision is the solution to your problems. It's necessary to have Microsoft Office 2003 installed.